Music has always been a part of my life. It compliments my moods whether I’m on the road, need to think at work, doing grocery shopping, or even spending alone time in a coffee shop while drinking my favorite hot beverage. Music has always been my companion and once I plug the earphones, I am automatically transported to my very own oasis. I am fairly neutral to all sort of music but have this thing about not a fan of country, extreme rock, and rap – not my cup of tea. A few months back, I was so engrossed with House music but just recently I became addicted to Chillout and Lounge music. More than the popular ones, I am particular attracted to the opposite. It’s like discovering a diamond in the rough. I recently came across Merge of Equals. I fell in love with the mixture of ambient and electronica that creates this blanket of soothing and centering type of music. I guess music, in general, is very relative to our present situation. Before I remember having a discussion about Enya, a new age artist. For most people, her music makes them drowsy and sleepy but for me it makes me think more like caffeine. I really don’t know why but it’s just the way it is. I love Enya and that’s how she affects me with her music. I normally rate a CD depending on the number of songs I like in the playlist. For this particular album, Intoxicating, I like 14 out of 16 songs so this is a such a very good album. If you get the chance to check this album, please do and enjoy the pleasures of the rhythmic and melodic tranquility that this music brings to your life. This has got to me one of my favorite Japanese Restaurants, especially that I’m a sushi freak. I love all sorts of sushis. There’s nothing like a balance of the rice and the seafood that goes together. 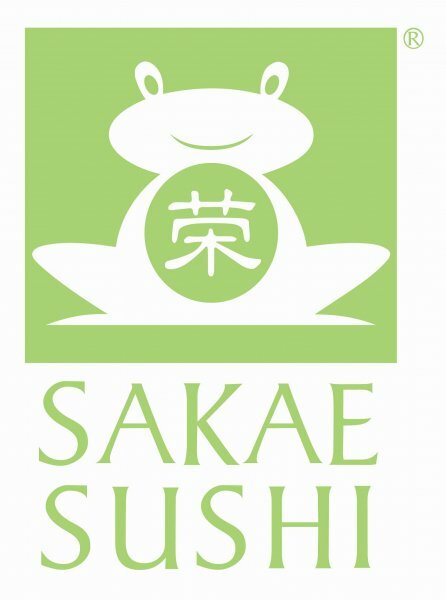 I recall the very first time I tried Sakae Sushi in Mall of Asia branch. It was not planned actually. When my partner and I passed by we noticed the poster outside about an “eat all you can” sushi. That was the thing that sealed the deal for me. And when we sat inside, we were surprised that there is a long trail of conveyor belt. This is used to distribute the countless sushis to the customers. It certainly brings me to the idea of what is being done in Japan (or something close to). 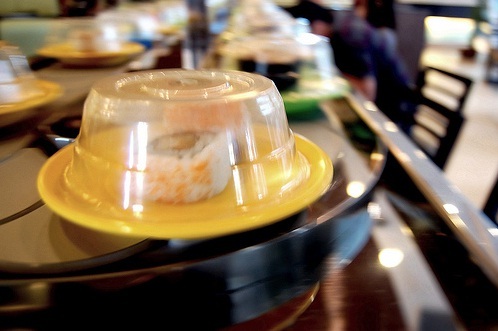 I do like the concept because there’s no need for the sushi to be brought to your table but you can just select and get it straight from the conveyor belt. Comparing it to the buffet set-up, the sushis are done fresh and goes directly to the conveyor belt, a very simple and impressive process, I must say. Your table is sufficiently stocked with wasabi paste and soy sauce. The only time you seek assistance from the attendants is for the beverages. One of the things I am fond of is that when you order the green tea, you will be given a tea bag and you have a faucet in your table where you get your hot water and you can continuously use your tea bags. We also tried the Taguig Global City branch and usually go here not only because of the distance but also of the ambiance. It’s more spacious and a much serene location. But a few months back, I found out that they closed already so the only branches available are the Mall of Asia and SM North EDSA. This blog really got me craving for another session at Sakae Sushi. I can’t wait for my next visit and just have a sushi experience. I’ve started watching Tyler’s Ultimate over at Lifestyle network around two months ago. I knew Tyler Florence from his previous shows at the Food Network. At that time, Tyler was still fit and toned. I found him to be very entertaining and charming with his shows (coming over to a house and cooking for the people living there). It was a refreshing concept. But looking at him now with his new show, “Tyler’s Ultimate” where he shared “brilliant simple food” that can me made anytime is so much more interesting to watch. He never falls short of enticing the viewers with his recipes. One particular observation was the weight he gained. From the fit and toned to a but flabby, stuffed chef. Not that it’s a bad thing, in fact, it kinda looked better – a whole lot better. Though he transformed physically, the charm and wit remains the same. I remember one time when I was having a conversation with my sister-in-law about him (who’s also a fan of Tyler), she said, “I’d rather eat something that was made by a fat chef than a thin one.” It sort of made sense and I agree. Setting aside and regardless of health issues, I believe this is very relative to all chefs. I really don’t know how I’ve become so enticed and looking forward to the next show. I guess aside from him looking great, he’s a bit clumsy (not in a negative but in an endearing way) in the kitchen that makes it all the more entertaining. And the way he describes the spices, flavors, and ingredients you really do get the feel of what’s he’s describing. There was one episode that he was wearing an old rose Kashmir sweater. Believe me only a few guys could carry this sweater more so colored old rose and Tyler can. Despite him wearing an eye-catching color in front of the subdued, tone-down kitchen set, you tend to focus on him and the food he’s creating. At the end of the show, when he tastes his creation, there’s something very sincere with the way he does that. The closing of the eyes to his yum-yum smirk to the way he expresses the experience of the taste and texture, you’ll know that he will continue eating even after the show is done (or most probably share this with the production staff). I’m very picky when watching cooking shows and this falls on my top 5 cooking shows. More power to you Tyler and keep on cooking!! !